Introduction to Biological and Small Molecule Drug Research and Development provides, for the first time, an introduction to the science behind successful pharmaceutical research and development programs. 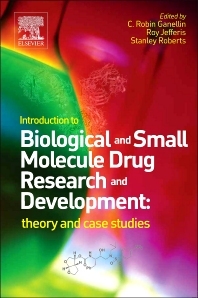 The book explains basic principles, then compares and contrasts approaches to both biopharmaceuticals (proteins) and small molecule drugs, presenting an overview of the business and management issues of these approaches. The latter part of the book provides carefully selected real-life case studies illustrating how the theory presented in the first part of the book is actually put into practice. Studies include Herceptin/T-DM1, erythropoietin (Epogen/Eprex/NeoRecormon), anti-HIV protease inhibitor Darunavir, and more. Introduction to Biological and Small Molecule Drug Research and Development is intended for late-stage undergraduates or postgraduates studying chemistry (at the biology interface), biochemistry, medicine, pharmacy, medicine, or allied subjects. The book is also useful in a wide variety of science degree courses, in post-graduate taught material (Masters and PhD), and as basic background reading for scientists in the pharmaceutical industry.